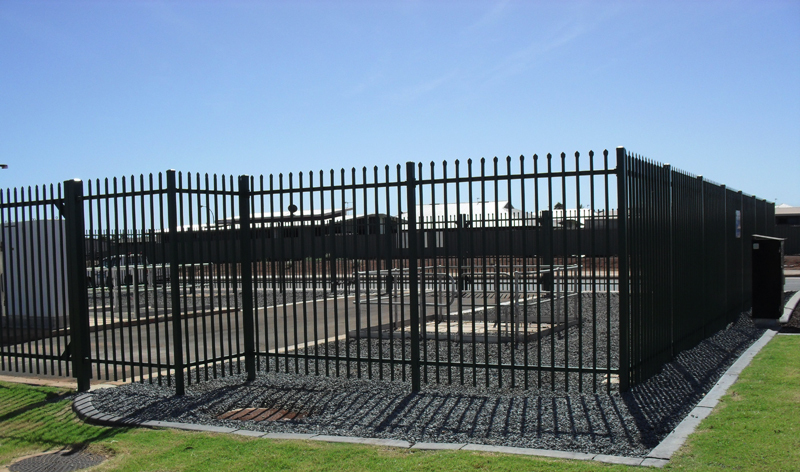 Menzies Contracting can design and install a custom built Gladiator Security Fence for your Industrial property anywhere in the North West of Western Australia. 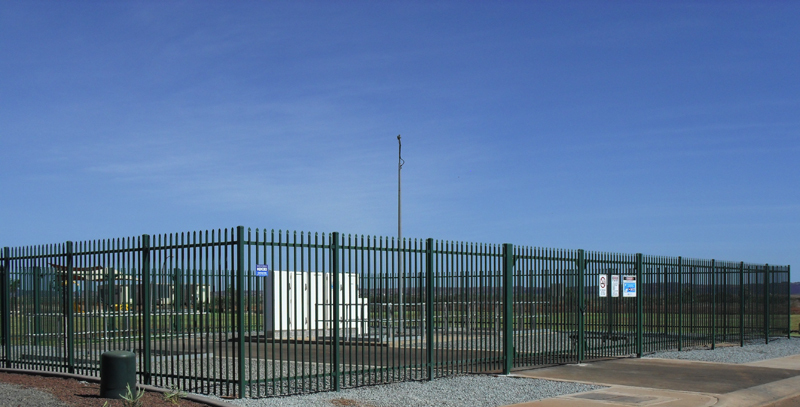 Gladiator Security Fencing is a fully custom built product manufactured to comply with any specification requirement. The fence height is your choice and appropriate Single and Double gate designs and gate post specifications are available to suit any fence height. Sliding manual or electric Gates are also available in all sizes. All Gladiator Security fencing material is Pre - Galvanised and the product is finally powder coated in your choice of colour after production for appearance and long life. The fencing is manufactured to Australian Standards and a high standard in quality control ensure we supply our clients a quality product. 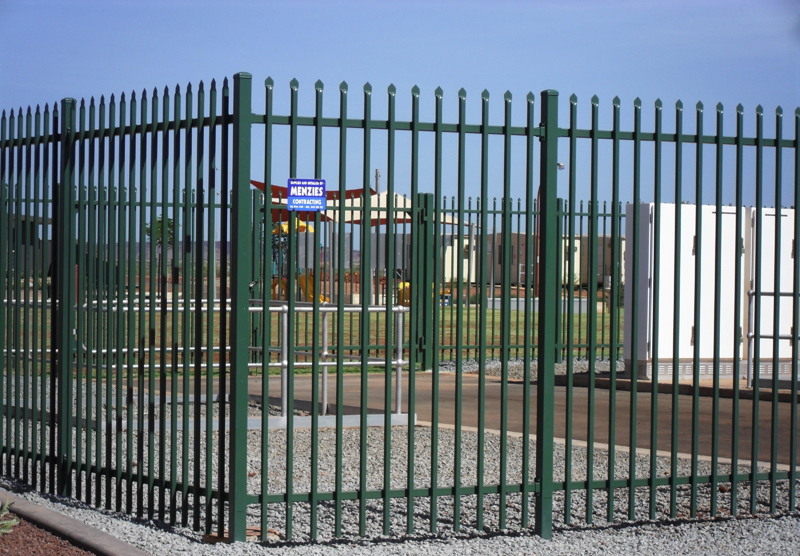 Gladiator fencing is used extensively as a Security and Perimeter fence in Industrial areas and Perimeter fencing for schools . 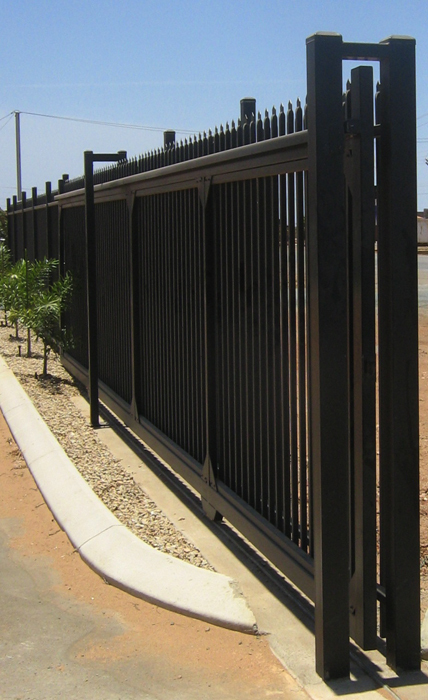 We have teams of Gladiator fencing installers in Karratha and Port Hedland that work throughout the North West and are capable of installing your custom built Gladiator fencing.